Skin Beauty carries Image Skin Care, B. Kamins, Babor, Decleor, DermaQuest, Cellex-C, EmerginC, Eminence, Skin Script, Glo Skin Beauty, Glymed Plus, Exuviance, Lycogel, HydroPeptide, Jan Marini, Jurlique, Matis Paris, PCA Skin, Sothys, StriVectin, Thalgo, Peter Thomas Roth, Philosophy, and Repechage and much more. Image Skin Care Image Skincare is an evidence-based clinical skin care company, providing professional skincare products and impressive skincare treatments. Sothys Sothys skin care products offer a complete treatment, including Sothy's newest - Secrets cream. Sothy cosmetics skin care consist of high quality formulas. Sothys brand image is recognized with over 55 years experience in USA and Paris. Biodroga Biodroga skin care and Biodroga Cosmetic products have been known for its product performance for years. Biodroga uses only the finest ingredients. Biodroga products are non-comedogenic. 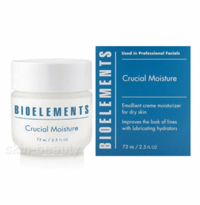 Bioelements Bioelements skin care and Bioelements Cosmetic products are customizable for your skin type. 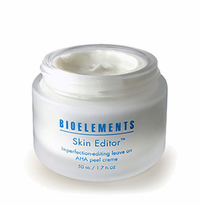 Bioelements cosmetics contain pure plant extracts. DDF DDF Skin Care products - DDF is a unique line of skin care products incorporating the best of traditional and holistic therapies. CELLEX-C Cellex-C skin care products are base on advanced Cellex-C vitamins. Cellex-C products are protected by patents. Skin Script Skin Script is a clinical, professional skin care line designed using cutting edge chemistry and skin care research. 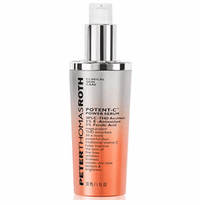 PeterThomasRoth Peter Thomas Roth skin care products include corrective products and soothing therapeutics for a full range of skin types to cleanse, exfoliate, hydrate, and soften the skin. StriVectin StriVectin skin care and StriVectin-SD increase stimulation of collagen synthesis to firm and smooth the appearance of the skin. Thalgo Thalgo skin care is a marine algae and plant based cosmetic company. Thalgo has been a true innovator in the world of Marine Beauty for over 40 years. GlyMed Plus GlyMed Plus skin care uses advanced ingredients with certified organic botanicals to produce highly effective results. 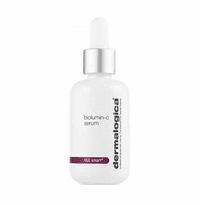 GlyMed Plus treatment products provide professional level formulas to achieve healthy, younger looking skin. Skin Beauty is committed to building value, integrity, and loyalty. Being in the beauty industry for over a decade, we are in the beauty profession specializing in spa and skincare related services. 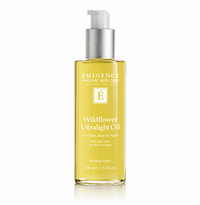 We offer skincare and beauty products that are sold only at high-end specialty stores and spas. Currently, we represent more than 4000+ products endorsed by doctors and skin care specialist. Got a question or concern? We’re here to help you in any way that we can. Just give us a call or email us. Questions about your order - If you have questions regarding a current or previous order, log into Live help and speak with a customer service representative or email us at skinbeauty@yahoo.com. You can also check your order status under My Account.